Our Sister store Downtown Book & News is located just a short walk from Malaprop’s. Owner and founder Emöke B’Racz opened Downtown Books & News in 1988 in response to comments from Malaprop’s customers that they could not always afford to buy new books. “I wanted to create a place that shared Malaprop’s values and high standards, but with gently-used books, newspapers, and magazines. Inventory has evolved to include a wide range of rare books. Over the years, DBN has grown to hold nearly 30,000 used and rare books. Malaprop’s and DBN have a close relationship. If a customer comes to Malaprop’s looking for a book that’s not currently on our shelves, we call to see if DBN has it in stock. It feels good to be able to provide that extra service and get a book into our customers’ hands quickly. 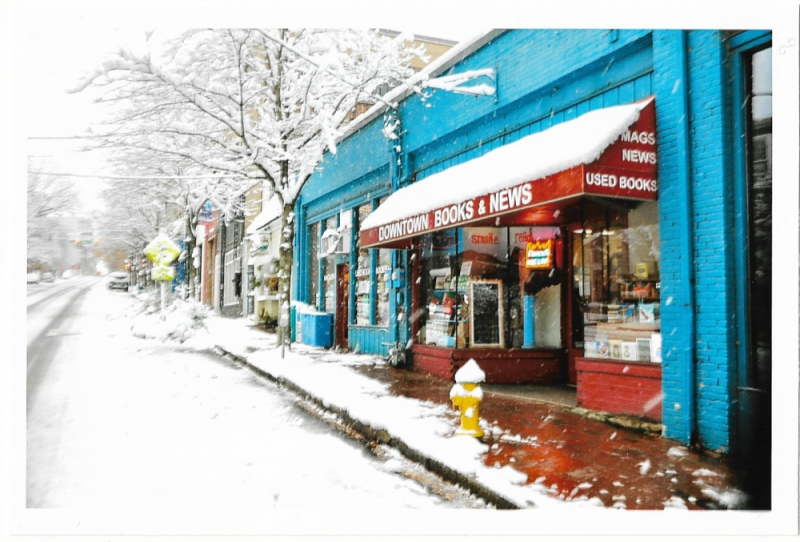 Visit the Downtown Books and News website for information about their hours and book buying schedule, or check out their selection online via their AbeBooks and Biblio pages.